Prem Rao re-invents himself as an author by turning to his passion for writing after 36 years of professional work as a talent management specialist and executive coach. This is his debut work. It was by chance that I met the author Prem Rao, an avid blogger, through a blogging contest. It was later that I came to know he was already a published author of a thriller novel. And it was only near the publication of his second novel that I finally purchased this book, his debut. The book looks at Colonel Belliappa and his family, from the moment of his death to what transpired that day, then to his daughter Shefali and son Pritam, and his wife Elena. We are taken further back, to the war days of the Colonel, and to the childhood memories of Shefali, to the story of Elena, in different chapters. I think the book is very decent for a debut, but it’s not an end-to-end thriller. What lets it down, in my opinion, is the time traveling. We begin with the words, “The man was dead. Of that there was no doubt.” And that opening immediately sets the ball rolling and we find ourselves asking, “How did he die?” Then there’s a touch of Sherlock Holmes with the writing of the words, “It can’t be you…” on a post-it. Remember the word “Rache” on the wall in “A Study in Scarlet”? So we’re all set to go into an investigative thriller mode, but almost immediately, the time travel begins with the story of what happened that morning, then who is Shefali, Pritam, Elena and what were their characters like. There is excellent detailing, but I lost interest in the murder after the detailing continued. Not to judge a book by its cover, but this one was almost childish, confused. The only thing remotely chilling about it was the “chiller” font for the title. Definitely needs a better cover. And also, a better font inside, a little bigger as well. The presentation felt cramped. I like the idea, but it left me a little bored. 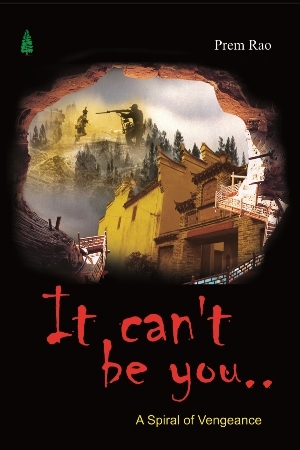 It’s not your usual crime thriller. It’s an investigation into the past, an effort to bring out details of the characters. A one-time read for me. Jugal Mody believes in fiction. Before handling web and social media for Filmfare and Tehelka, he worked in gaming. As a rule, he only writes to feel like a dog sticking its head out the window of a moving car. This is his first book. 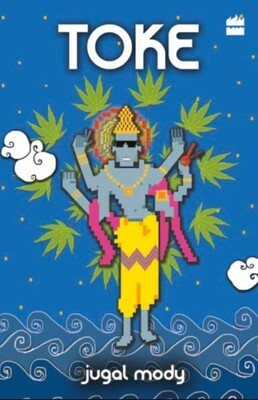 Witty, humorous portrayal of Lord Vishnu, which sets the tone for the novel itself. I’d pinch myself if Lord Vishnu appeared in front of me, regardless of if I was high or not. 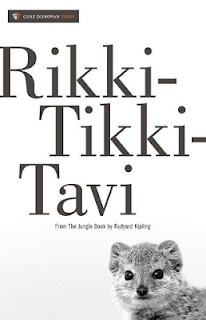 The blurb promises a delightfully humorous plot, fresh and appealing. 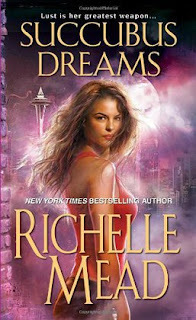 It was very unexpectedly that I received this book as a review copy from Indi-blogger. I think that it had been so long between the date of receipt and my applying for the book that I thought I wasn’t selected for reviewing the book at all. So coming to the novel, what I found in this book was partially what I expected. It was a fresh plot. The protagonist is an Indian dude, not famous or known, just an average chap with a run-of-the-mill job and a sort-of dominant family who are disappointed in him. He wakes up one day to see a guy in a funny outfit who he recognizes as being similar to a god. (No, he doesn’t realize the name) Stuck in a crappy job, he falls asleep at his desk only to be sent home with a half-day pay cut as punishment. Instead, he heads off to his old college-mates’ place where he decides to quit his job, becomes high for the first time and falls asleep. He wakes up to find a talking crow that likes to get high too, and one later he finds to be the same funny looking God he saw before, Vishnu. He is informed that the fate of the world is in his hands, along with his friends. And thus begins the adventure. We can relate to the characters, crazy yet so familiar to our own at times. The narration is crisp though a bit predictable. The story moves quickly, sometimes too quickly for my liking. 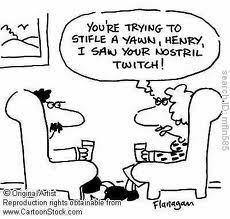 Humor is there, but I feel that it gets a little mundane as the story goes on. If I were to read it a second time, I might not find it just as humorous. His portrayal of Lord Vishnu challenges mythology and our beliefs and it is fun to imagine God being such a casual person, one who we can hi-five and call dude. Overall, this is a fun read, and I feel it is one-time read. A confident debut offering. This review is for a review copy of the book given to me by Indiblogger and HarperCollins. Thank you. Book 1 of the "Commonwealth Saga"
It is AD 2380 and humanity has colonized over six hundred planets, all interlinked by wormholes. With Earth as its centre, the Intersolar Commonwealth has grown into a quiet, wealthy society, where rejuvenation allows its citizens to live for centuries. 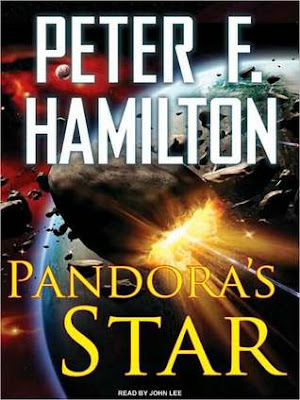 When astronomer Dudley Bose observes a star over a thousand light years away vanish, imprisoned inside a force field of immense size, the Commonwealth is anxious to discover what actually happened. As conventional wormholes can't reach that far, they must build the first faster-than-light starship. Captained by Wilson Kime, an ex-NASA astronaut a little too eager to relieve his glory days, the Second Chance sets off on its historic voyage of discovery. 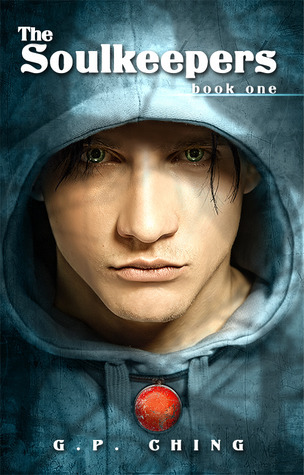 FL SPEAK - This is a monster of a book and an epic space saga. And I mean it in the best way possible. There is a reason why I don't read Science Fiction a lot. Its much easier to watch Star Trek than to read it. Even though with a lot of trepidation I picked the up, my faith in miracles was restored. This is not just the standard run-of-the-mill space action flick, this is so much more. World building is fabulous and on a grand scale. Don't be put off by the 1244 pages long book, its worth it. When two stars suddenly wink out in a matter of minutes, the Commonwealth think its time to explore outward again. The Second Chance is sent to investigate when they realize that there is a barrier covering the stars. We humans are curious by nature. We simply don't let things be as they are. The Second Chance was launched to figure out who out up the barrier and why! And that might be the fall of humankind as we knew it. The Commonwealth wanted to know if the barrier was put up to contain someone or annihilate a star system. And that proved one thing atleast. There are superior life forms out there somewhere. But the crew of the Second Chance had no idea what they were in for. Days after reaching their target, the barrier came down. And the Second Chance had to defend themselves against waves of attacks before jumping into hyperspace. This is a space odyssey! A marvelous tale. The characters are impossible to hate. What I loved most about the book was not the travel to investigate the stars. Its the situations in between. There is Paula Myo, investigative officer, hell bent on capturing a famous terrorist who vehemently believes there is an alien among humans corrupting them. Then there is the other sentient alien ship, whose motives are still unknown. And before the final page is over, I've started to believe that the terrorsits might actually be right. Bloody gave me goosebumps all over. Eager to get into the final book now. CD containing guide to e-commerce store, Payment Gateway setup and Control Panel Introduction in addition to the actual HTML codes used in the book. Navneet Mehra is a computer professional and has authored books like Hackers Beware: A Guide to Protect Your PC, The Unrevealed Secrets of Hacking and Cracking: Hack Before You Get Cracked and Comprehensive Computer Learning: A Youngsters' Guide. Bunny Mehra is a hotel management graduate, a freelance web developer and an Admin professional. This is typically not a book I would generally pick up (because computers aren't really my thing). But when Navneet asked me to have a look at the book and tell him what I thought about it, I decided to give this one a shot. And I'm glad I did. This has been a really different read from usual stuff. The book is written in a guide like (as mentioned in the subtitle itself) manner which is simple and very easy to follow. What I really liked is that this book has a class room like feel to it where your teacher is guiding through each and every step and explaining the nuances in the process. The "step-by-step" instructions combined with the occasional illustrations and pictures makes it really easy to understand to any layman (if I could, you'd too). the only downer would be the fact that the language is didactic which makes reading it a little boring but considering the subject, I suppose it cannot be helped. A few typographical errors here and there also act as hindrance to the reading. The book is primarily devoted to those who are looking to learn to develop an e-commerce store but others who just like to tinker around with stuff would also find this one extremely useful. Sections like the use of HTML tags, picture tags, formatting web pages and using HTML forms are things which blog users would find extremely useful for formatting and personalizing their blog elements without having to go for professional help. The CD that comes along with the book makes it even easier to grasp things. I personally loved the section about online selling and site security involved in the process. Learnt a few knick knacks that I was completely ignorant of. 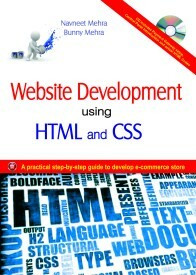 A good book to start with to increase your tech and web knowledge. Aneesh Gokhale works as a navigation officer in the Merchant Navy. This is his debut book based on one of his favorite subjects, Maratha history. I’d have liked a better cover. The book, a novel of historical events with elements of fiction, is about the battle of the Marathas to keep their flag flying high. So that could’ve been reflected in the cover, rather than just a shot of the mountains. Historical events dramatized by fictional elements to give them a thrill and bring them to life. History has not been one of my favorite subjects in school, so reading offers a personal challenge as well. Firstly, thanks to the author for a review copy of the book. As indicated on the blurb, the novel does try to bring alive the life and times of the Indian subcontinent in the 18th century, and it succeeds in that element. The novel begins with the demise of the Maratha Peshwa (commander) Bajirao, and the pensive mood of Chhatrapati Shahu as he mourns the loss and looks at who should be the next commander. He calls forth his chieftains to seek their opinion, though he knows who he wants to appoint. He also invites Chimaji Appa, brother of the former Peshwa. After a discussion, and turning down of a suggestion by one chieftain, Shahu appoints the teenage son of Bajirao as his Peshwa much to the surprise of the courtiers and others present. 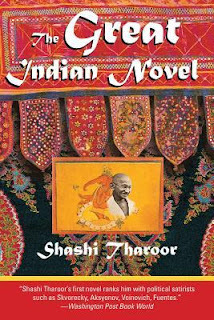 The novel proceeds to other events like Bhosale’s incursion into Bengal and young Peshwa Balaji Bajirao’s battles to conquer Orchha and his rivalry with Bhosale who had not been happy with his appointment as Peshwa, and the Chhatrapati’s intervention between the two of them to demarcate their territories. On the other side, we are taken to the appointment of a new leader for the Pakhtuns in Ahmed Shah Abdali. Then we move on to about seven or eight years later when the Chhatrapati passes away and we’re introduced to a part of the dirty politics when the Queen Sakwarbai is tricked (not sure if that’s the word, since she partly wanted to do it too) into committing Sati (a former funeral practice that was considered as dharma, when a childless widow would immolate herself on her husband’s funeral pyre). The heir incumbent is later found to be worthless and imprisoned and further events follow. I’ll stop the summary at this point, so I don’t end up putting the whole book here. What I’m impressed by in this book is the pace of the narration. When it’s a historical novel, and a war-oriented one at that, a quick pace is something I feel is essential, and the novel has that enough to hold my attention. Aneesh also has a decent command of the language and uses it most of the time to his advantage. His effort is obvious and he’s referenced over twenty books on the Maratha history to put into this novel. He’s also mentioned those references, given a chronology of events at the end and a glossary of few local terms to aid the readers. I thought a couple of things were off in the opening chapter. Aneesh mentions that Raghuji Bhosale had cut short his Karnataka campaign to be at the meeting of the chieftains. But I think it should have been “his campaign in the Carnatic”, because the name Karnataka has only been in usage since 1973. Also, after earlier mentioning Shahu didn’t want to offend his chieftains like Holkar and Bhosale, only the latter’s opinion has been mentioned. Likewise, in the meeting of Pakhtun chieftains as well, many have assembled and a fight happens during meeting, but in the end, just the Pir’s opinion seems enforced. I am not arguing with history, but the proceedings seem very fast paced in the politics there (which feels odd considering it is India). Only when you look at the chronology at the end can you tell that years have passed between events. The pacy narration makes one seem it’s happening quickly. What I’d suggest Aneesh for his future historical novels (and I feel with his passion for history, there will be some for sure) is to not include photographs in the narration, or quite a lot of the reference details at the end of the book. Since the aim is to dramatize and bring the scenes to life, a lot of it should be in the narration itself and let the imagination of the reader do the rest. Similarly, titles that are obvious can be avoided, just numbers are fine. Though he does command the attention of the reader through his English, I would also suggest that an indirect tone be used. For e.g. I quote from the book, “Just like the annexation of Indore and Ujjain by Holkar and Scindia respectively….” It seems more like a teacher telling to a student than a narration. Maybe something like “Holkar had given Indore to the Maratha empire, and Scindia Indore” might have done it better. If just a few characters are fictional, then that need not be mentioned, or if it must be, I think the author note can come at the end, rather than before the prologue itself. Lastly, more proofreading can be done, and please include the ISBN and price on the back-cover. There’s a very thin line between a book being a historical novel with fictional elements and a history textbook. 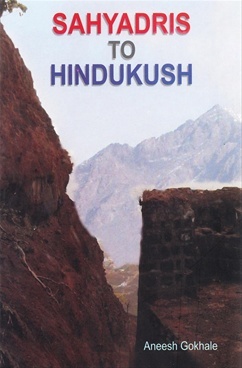 It is my opinion that Aneesh Gokhale’s debut offering “Sahyadris to Hindukush” travels that thin line throughout the book, at times stretching into the latter side. That being said, it is an accurate telling of events with that tinge of dramatization. Good pace and flow in keeping with the chronology and it does well as a historical novel. This review is for a review copy of the book given to me by the author. Thank you, Aneesh. I signed up for reviewing this book only 'cause I love Devdutt Pattnaik books. At first when I began the book, I wondered if it was a good decision , since I am far far away from any sort of business / management profiles. But within a few pages , I fell into the flow of the author's direction of thought. The introduction of the book covers his initiation into the topic , the basic definitions and ground rules for belief , the three beliefs , the culture , the links to management and before you know , you become comfortable with the stories & the morals that we can map to present times. The illustrations done by the author are as funny as simplistic to learn from. The attention is given to all details and presentation of the idea in most effective and understandable way. Each story that DP took from our scriptures & like wise , is so seamlessly transitioned into the modern story snippets. while I read the book , I paused and wondered if i had been in same situation or how do people usually react to these scenes. there are many ideas / learning that one can use in our personal lives too and not just business. After all , life too is a transactional sum of a lot of our actions of give and take like this : Even if you ignore the management part of things , the book has excellent tales and examples from mythology that would initiate you into this topic and make you read more and more. No one can make you impressed with mythology like DP does. The opening pages of the book were very easy as introductions of the topic felt like some one is talking just to you. The illustrations are awesome ! they are fun , clear and so on the mark. I almost got reminded of a teacher who taught us with similar stimulating visuals . No aspect of human or business lifeline is left untouched. Without much forceful reading , the author has made us so aware and curious about things around us and way we conciously or subconciously get affected by it. 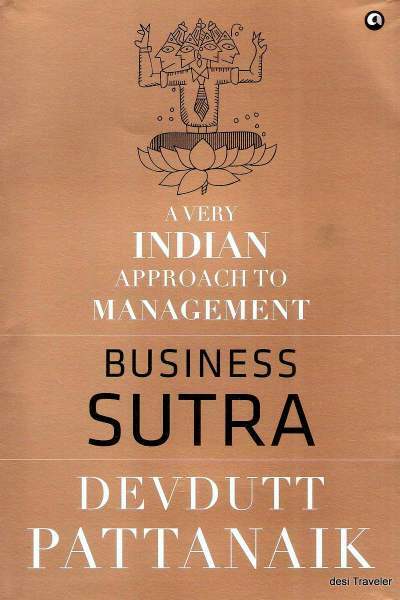 I will surely reccomend this book to all managers & entrepreneurs, if they ever plan to apply the indian way of dealing things. All in all , a good read. I would rate 3.5/5. This is book #3 in the Scott Cullen series of police procedurals, and is a kindle copy. The review is on the request of the author, and I thank Ed for giving me a review copy of the same. 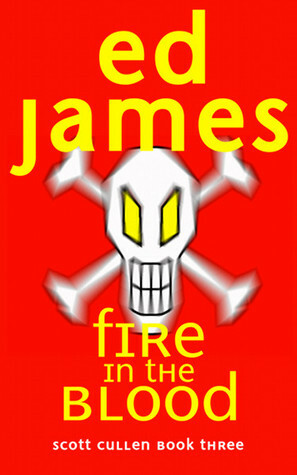 For the reviews of the first two, please click on the author name in the labels. So we begin at a well known distillery, steeped in tradition of whisky making. When preparations for the centenary of the distillery are being made with a special blend being readied for it, one of the barrels supposedly shut for the previous fourteen years is opened and a body is found. Wonderful place to find a body eh? Or even hide it. Very tough to find it if the barrel is not going to be opened for a long time. And further difficulty to identify the victim or killer when the timeframe goes years back. So that sets up the plot well already. Cullen and co. begin their investigation only to find that the victim might be one of two possible people, one of who is actually related to the distillery. So that puts a whole new spin on the case. The narration, with the Scottish accent dialogues, does well to hold the pace and the plot. I enjoyed the story. The dialogues seem more toward English than Scottish, or perhaps that was because I had read the previous two and have got somewhat used to that. I think dialogues of Bain can have less profanity. I think it's been done to show what a pompous person he is, having no regard for others but it feels overdone. Bobby Stevenson was born in Scotland and schooled in Paris before he settled in the Catskills with his family. He traveled to various parts of the United States as a software designer before attending film school in London and getting a Masters in Screenwriting and Film Production. It’s not easy to understand or review poetry. It’s nice to read. What is interesting to note is that sometimes, or most times, the same verse is interpreted in different ways. This review is my interpretation of this book, but I think most who read this set of verse might be inclined to think the same way that I have. There is vividness in the verse here, but what I find in common is a quality to inspire not only more verse but also life and love as well. One of the poems in this book is titled “Leaving Traces”. In its simplicity, it invites hope unto itself. It tells us to not think that we are alone, or that what we do might not be impactful in life. It tells us in a moment we pass another life; we leave a part of us with that life to take it with them wherever they go. Another is titled “To All The Things”. This leaves me with mixed feelings. Though I can relate with the poem, this small eight line verse is also poignant for it ends on a sad note. The poem titled “Be Who You Are” is quite inspiring. It ends on the note that says – “Be who you are, let happiness and joy break through, for the universe was wise enough to only make the one of you”. Though “happiness and joy” feels redundant, the thought behind it is something I appreciate. 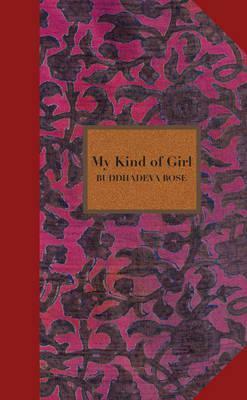 There are 35 poems in total in this Kindle book which are simple and well written. However, there is one minor problem. The poet has accidentally printed the same poem twice. It’s a free book as of now, so I think it is well worth a read. Poets of ALOP, give it a go! Simon Saha is a software engineer from New Delhi, India. This is his first venture into publication. The story is the life of an Indian Software Engineer (there’s apparently a marked difference between a Software Engineer, and an Indian software engineer) who has entered the field because he doesn’t want to but has to and in order to get a fat salary and a good wife, who spends time trying to make his bosses understand the work and at the same time, doing all that makes him drown in an ocean of software engineers. The story is in first person narration. The protagonist is Rohit, a software engineer. The story begins with a dekhan-dekhai (the meeting ceremony before an arranged marriage) where he and his parents are on their way to see a prospective bride Trisha. As expected, there are treats like samosas and kachoris and sweets that the bride’s side arranges to welcome their prospective in-law. However, the twist here is that the brother of the bride is also a software engineer who immediately seizes upon the chance to try and get himself a job in the groom’s company. I understand that the talk may have been drab between the brother and Rohit, but I feel “I was working in ABC and DEF” doesn’t work. Put a company’s name. Make one up if need be, but ABC and DEF just doesn’t cut it. The story moves on to the first talk between the girl and Rohit, where he’s smitten enough to start telling things that aren’t as honest, like he likes reading books and such, which land him in a little trouble. The next chapter onward, it is more of the office work dilemma of the software engineer. Handling clients who demand a lot of work to be done in less time, project leads who agree to do one thing and after the client hangs the call, do another. Office politics where the one who doesn’t deserve something gets it and Rohit has to do what it takes to turn things his way. In between, his obsession for Trisha somehow keeps growing and she does her bit to try and get her brother into Rohit’s firm. The brother seeing his love for his sister tries to blackmail Rohit emotionally by putting the marriage with his sister on the line. After rejecting the brother at first, he tries to make it up for the sake of love by forwarding his resume for some other work. We see the obsession for onsite work abroad and the troubles Rohit faces there, which he conquers. Realistically though, I can’t quite see anyone leaving India and reaching the United States in a “couple of hours”. If the author meant to say the time passed quickly because of Rohit’s eagerness, the emotion isn’t brought out with the choice of wording, and the same choice of wording when the return to India happens doesn’t make sense. He returns with a new status of Foreign returned SE to see that his parents have seen even more prospective brides, all of whom he rejects for Trisha. Then a race for promotion happens, one which he wins by distracting his close competitor with another temptation of being married to a foreign Software Engineer. Then he becomes a team lead and ends up in a dilemma which he solves by thinking like how his old team lead did. In the end, he gets his happily ever after with Trisha and we see the family life of an Indian software engineer. I guess the description the author gives pretty much tells the reader what to expect from the story. Being a software engineer who is not in the IT field, I can’t quite say I disagree with the notion of a software engineer being that, but yes, I have seen people from that “nothing else to do, so I’m an engineer” category. The genre which Simon put in the contact form on my other blog told humor/satire, and yes, I do think there are a few things that do bring out the humor part. But what makes that humor become lost are the many proofreading errors that are present throughout the book. I can agree with one or two at places where they can go undetected in the narration but not so many, and that includes punctuation as well. The author chooses to highlight some terms in bold where the protagonist says one thing but means another completely, but that works only to a little extent. The software terminologies that are used manage to stump even a reader who is a software engineer, and I don’t quite think it is in a humorous manner. I don’t agree that every “Indian Software Engineer” is obsessed about marriage and doing whatever it takes to get that arranged marriage to go through either. The pace of the narration is not quick, but the book is a small one, so it won’t take long to read. 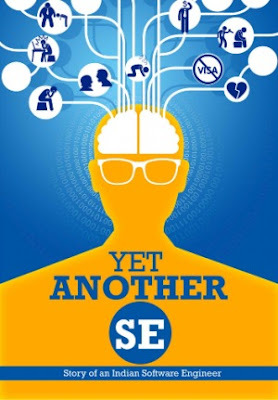 Perhaps the initial story idea, to show the life of one software engineer in the Indian IT industry, had merit. If taken upon a little more like fiction, and proofread properly, perhaps it’d have been better. As of now, this felt more like the rant of an Indian IT professional than a fiction of one such SE’s life. This review is for a review copy of the book given to me by the author. Thank you, Simon.